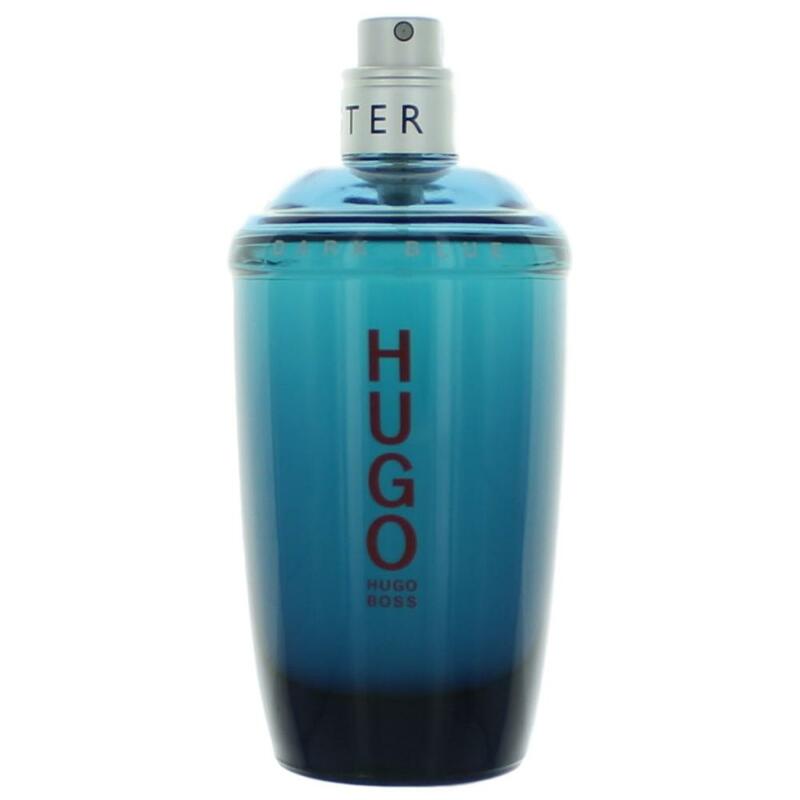 The bottle is based on a cocktail shaker, and the fragrance is supposed to be "The Darker Side of Hugo". Some of the bottles Basenotes have seen, have dodgy sprays that spray all weird. Hopefully P&G have sorted this out now, as it spoils a good smell. 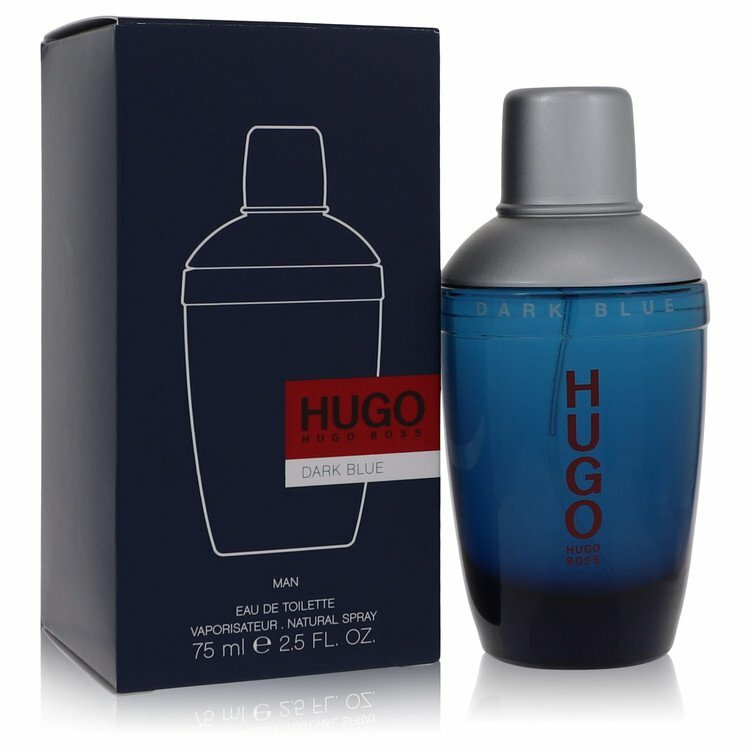 There are 54 reviews of Hugo Dark Blue. A fancy "downtown night out fragrance" with a citric/suedish twist, woods and a touch of cool resin. Yes a grower. Elegant and masculine (yes kind of "sporty/generic"). Ginger and sage provide a cool aromatic temperament. I get finally leather. Cool for clubbing and night-dates. Dark Blue is safe, nice and comforting. It's not exciting but I wouldn't call it generic either. It gets better as you wear it, smooths out from the opening that feels a little messy. Good projection and longevity on me, still going strong past 7 hours. A very nice, semi-formal scent by Hugo Boss. I really like its enveloping warmth and flavor. But I wish it would last longer, as it dies down after a few hours. Otherwise, highly recommended for day or evening wear (casually, it may be too aggressive a fragrance). Nice and bright with good top notes of lime and ginger ..office friendly and just an overall clean and fresh out of the shower scent. Bit of suede in the dry down to give a bit of interest. I get good performance from this, my work mate gave this to me because on him it has miserable performance. Sits very well amongst the other blue scents like polo blue and the 2016 versace Dylan blue. Dark Blue is one of the more favorable Boss scents to me released between the mid 90's and now. I like the limey cocktail sort of opening and I am a sucker for suede, even if it is much better represented elsewhere. While overall I would rather wear Obsession Night than Dark Blue I must jealously concede that this one has both better staying power and projection than my long-time, blue-bottled buddy from CK. Far removed from greatness due to the ground-down dullness of what should be bright and sparkling notes and the overall quality and feel of ingredients, but certainly worth the price for a fun but not totally immature 'night out' scent. Its a grower. Nice smell and good silage. Hugo Dark Blue by Hugo Boss for Men Eau De Toilette 2.5 oz 75 ml Spray NIB! New! There are no member images of Hugo Dark Blue yet. Why not be the first?